Many of us have heard, or maybe even said, “I forgive you, but I won’t forget.” Well, folks, this is not real forgiveness. Now, when I say ‘forget’, that doesn’t mean you literally forget about what was done to you, but it does mean you have made a choice to release the person from the offense. Forgetting is not really possible from a human perspective, because we rarely forget the pain we have experienced, but over time the memory will lose its power. Forgetting just implies when you do remember you have grace, thus the remembering doesn’t cause you to be angry again or cause negative emotions to return. The Bible teaches us that God forgives our sin and remembers no more (Hebrews 8:12). Forgiveness is a commandment from God and something we must take seriously and not neglect from our personal and spiritual development (Mark 11:25). Forgiveness means you are releasing the right to feel the need to exact revenge. You are releasing your need to feel like a victim. You are releasing your need to continue bringing up the offense. You don’t throw the offense in the face of the one who hurt you over and over again. You don’t use the offense as a means to control and manipulate the person. Operating in forgiveness and forgetting opens our hearts to release the angry thoughts. The ultimate goal of forgiveness is to fully let go of hate, anger, and fear and to replace those with love, empathy, compassion, and sympathy. 1. God commands we forgive (Mark 11:25). 2. Forgiveness can lower blood pressure, strengthen your immune system, and help reduce stress. 3. Lack of forgiveness can cause bodily pain, depression, headaches, bitterness and resentment. 4. 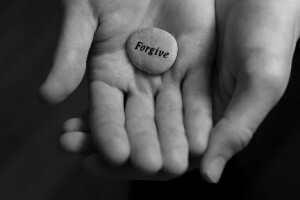 Don’t feel forced to forgive, but do work through your anger or pain, so you can forgive instead of hold grudges. 5. Forgiveness begins your healing. The longer you refuse to forgive and forget the longer you delay your healing. 6. You can’t begin new and healthy relationships until you first forgive and forget. Love yourself enough and care enough about people that you won’t subject them to things you have not let go of. There will be some of you that will ignore what I have written and continue in remembering the pain and allowing it to control your life. Let me suggest that if you are going to continue in the process of remembering don’t allow the anger to return. They have helped me soo much. Forgiveness is something I have struggled with all my LIFE! As of recently…I PRAYED out loud to the Lord and forgave everyone who HURT ME! I also asked the Lord to teach me/Help me to FORGIVE! This was a powerful Life changing moment for me. I felt heaviness release, sadness Flee, depression was GONE, and host of other things linked to my unhealthiness. After forgiving ppl, and MYSELF….I received my LIFE back. Forgiveness is attached to Peace & Joy! Just had to share my testimony. God Bless u. Please keep sharing Your blogs. I have really enjoyed this article, especially these words, “Forgetting is not really possible from a human perspective, because we rarely forget the pain we have experienced, but over time the memory will lose its power.” I was often taught to forget the pain of pass hurts (life in general). Now, I know that when I truly let go of the pain… I am allowing the pain to lose it’s power! Thanks! It shouldn’t have taken a tropical storm for me to finally take time to read this. This article helped me to realize that I haven’t really forgiven or forgotten when I didn’t get closure. Thank you for posting this on your blog and pray that God continues to bless you to help others. I know I’ve got more work to do. Maybe not, but sometimes it takes certain things before we open our heart to it. I am glad you were blessed my friend..make sure you work daily to forgive and get the closure that you need. It’s helpfull blog.. Thanks for sharing..